The PTG Mighty Mite floating reamer holder is the newest addition to our hands-free reamer holder line-up. 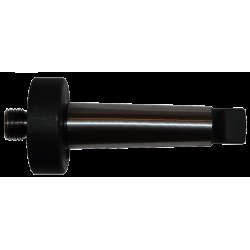 The reamer holder is designed for use with a flushing system (not required) and also allows for free movement of a floating reamer in 3 directions vertical, horizontal and angular, as required for proper performance of any floating reamer. It is 25% smaller than our standard floating reamer holder but just as strong with the same "You Control" abilities. 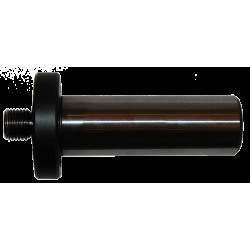 It is designed for smaller CNC machines since it has a short range of motion and has been reduced in size to fit the newest CNC machines in use today. Another advantage to PTG floating reamer holders is interchangeable arbors / Morse Tapers... 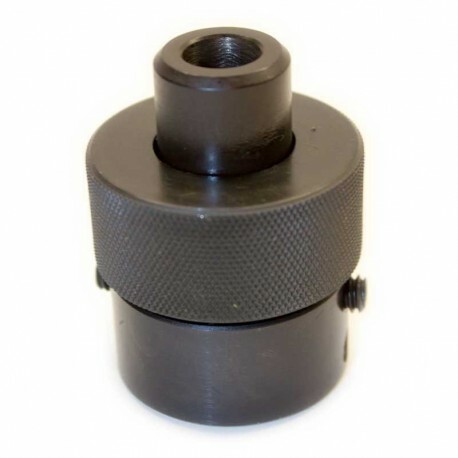 The PTG Mighty Mite floating reamer holder has a 1/2"-20 TPI. This design allows you to purchase one floating reamer holder and if in the future you need to go from a straight shank arbor for CNC to a Morse Taper for a manual machine you only need to purchase the arbor / Morse Taper and not a completely new floating reamer system! 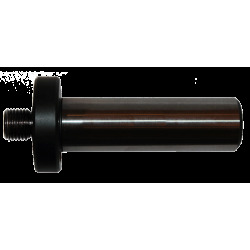 Pacific Tool and Gauge recommends 3/4" arbor and no larger than #3 Morse Taper, but we can customize upon request. Please call us at 541-826-5808, or email for a custom quote. NOTE: The PTG Mighty Mite floating reamer holder has a 1/2"-20 TPI interchangeable shank and the Standard PTG floating reamer holder has a 7/8"-20 TPI interchangeable shank. 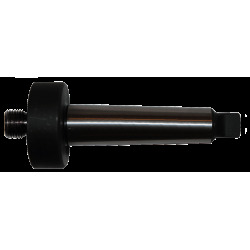 You MUST order or have a 1/2-20 interchangeable shank arbor, see below.